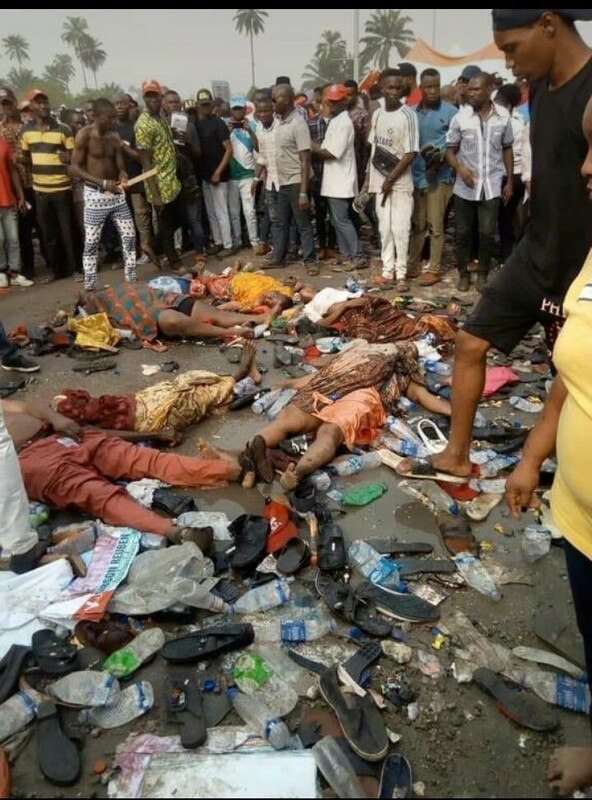 Meanwhile Rivers State Government has commiserated with families of those who lost their lives during the stampede. A statement by the Commissioner for Information and Communications Barr Emma Okah says these deaths at a time like this are very unfortunate and deeply saddening. “It is a sad development and we share the pains of these families. It is possible that this ugly situation would have been avoided if the organisers had taken some basic precautions relating to crowd management in a gated environment” Okah said, noting that this bitter lessons like this should not be the portion of Rivers people again irrespective of the political party they belong to. Okah prayed God to accept the souls of the departed and urged political parties to be more prayerful and carry out their electioneering campaigns with the fear of God and consideration for the lives and property of others.